In Italy, Farinata is a street food. It is basically just a flat bread made with chickpea flour. Perfect for us Celiacs! Normally it is served plain which is just as good, but I really loved it when I tried it with Pesto & Stracchino Cheese. Maybe less calories without these extra ingredients … but I do prefer it! You can also crumble sausage meat instead of pesto and dot with Stracchino Cheese. Pour the water in a large bowl and gradually start adding the chickpea flour. Using a whisk, keep stirring as you go so no lumps will form. Add about half of the olive oil, a tsp of salt and the chopped rosemary. Stir well. Cover and leave to rest overnight. The next day, using a spoon, remove the froth that formed on the top. Stir again. Put the remaining olive oil in a metal or tin baking dish and put it in the oven for a minute to heat up. Take the dish out again and using a ladle start pouring in the batter, at the same time mixing it with the olive oil in the dish and distributing it to cover the dish. Throw in some onion slices if using. Put it back in the oven. Keep rotating it so it cooks evenly all over. 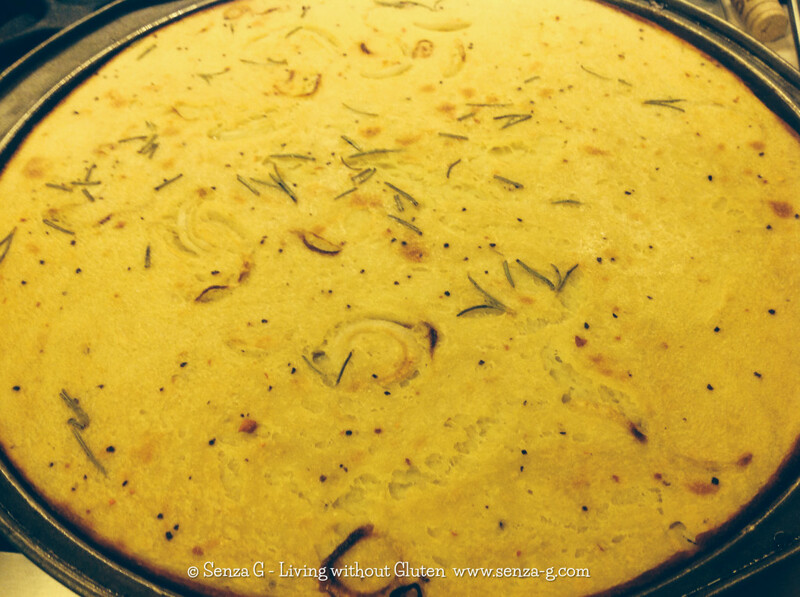 The farinata is ready when it starts browning. 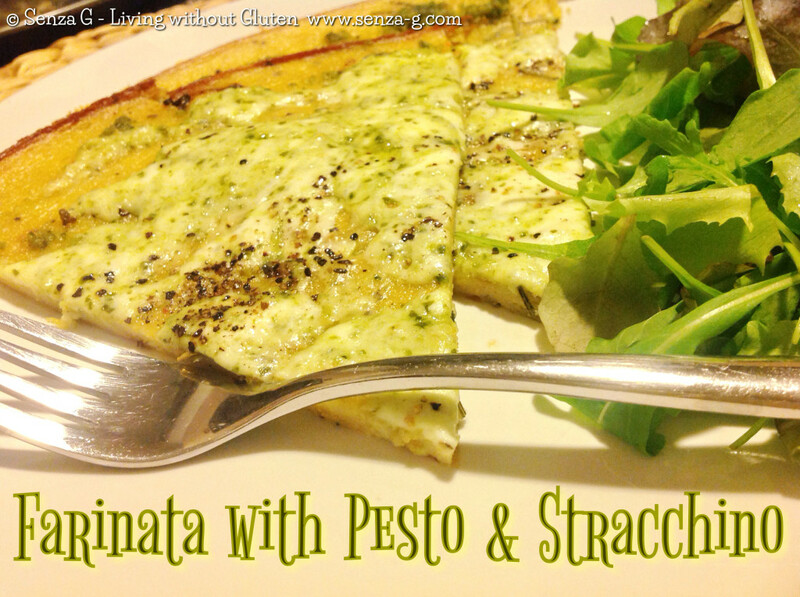 You can serve it plain with a grinding of fresh pepper on top or else, take it out, cover it with a light layer of pesto and then dot with Stracchino Cheese, grind some fresh pepper on top and place it back in the oven until the cheese is melted.